Hands Cleaners can offer School cleaning Derby and the surrounding areas. We can provide cleaning in Colleges, Universities, Academies and schools from Primary to secondary, we can also cater to nurseries. Here at Hands Cleaners, we understand that the maintenance of a school isn’t easy. 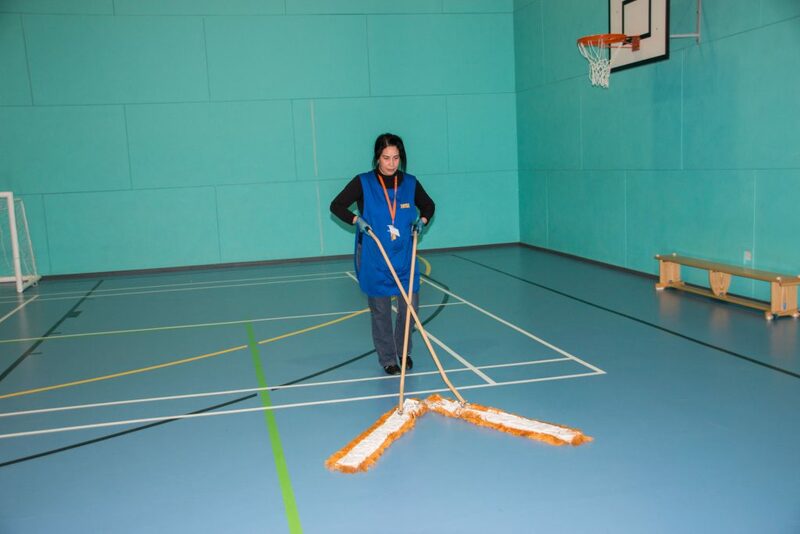 We can work around school hours taking into consideration after-school clubs, Hands Cleaners school cleaning Derby can help your schools cleaning needs. It is important for all schools, colleges, universities etc. are clean to decrease the likelihood of germs spreading quickly which is why we take things seriously when it comes to giving you a quote, we take the time to inspect the building and make sure the right cleaning methods are carried out by our well-trained staff. Inspections are made by management to make sure the high level of cleanliness is maintained and to make sure that our professional school cleaners are up to scratch. Again these inspections can take place at the most convenient time for you. We listen carefully to you to understand the needs of your school or College. We carefully survey your premises and create a bespoke specification. We take note of any particular requirements such as the need to work around After School Clubs. Our service can include non term time deep cleans and floor maintenance programmes. Staff will be carefully recruited and thoroughly trained to guarantee your complete satisfaction. Not only do we offer school cleaning Derby, we also offer school cleaning in Leicester and Nottingham. We can also provide references from similar establishments if required. If you would like to get a free quote with no obligation, contact us on 01509 501 110. We have been offering our cleaning services for over 40 years and have many references where our potential clients can refer to in order to understand the efficiency of our services. We are dedicated to offering quality services at competitive rates and ensure that our clients are happy with our work. To help you in the decision-making process, our very able and well-trained experts will offer you free consultation and advice. They will share the different solutions that are available when taking up our services and how you can make the most out of these services while spending the least. With a growing list of Midlands clients, we don’t wish to taint the reputation that has taken us over 40 years to build. We have embraced technology and use comprehensive computer scheduling to make sure that all the areas of the school are catered to at the time and date when they are supposed to. With us, you will not be tied to any long-term contracts. We believe in our efficiency and the effectiveness of our work and know that even with short contracts, our clients would be readily willing to sign an extension. We also offer a better cleaning guarantee which goes to show our dedication to nothing but excellent results. We have taken cleaning schools in a new and fresh approach. We are dedicated to offering impressive results while ensuring that the safety standards are observed while and after we have completed work. We take a keen interest in ensuring that our children have a safe and clean environment where they can learn without interruptions.